An artist friend of mine likes to say, “If you choose to self promote your music, it’s probably because you aren’t good enough to get signed by a label.” This same artist has been signed by several labels over an extended music career… but he has nothing good to say about record labels. After two decades as a professional musician he has very little money to show for his career in music, doesn’t own the rights to a large portion of his own music (so, no royalties are coming in), and he still has to tour to make ends meet. He blames record labels and their practices for his situation. Such is the dilemma that musicians face. Let’s face it. Record labels seem to have a bad reputation, and much of it is deserved. But you should not be too quick to lump them all into the same category. A large number of indie labels have emerged over the last several years and they have filled a real need for the indie artist. These smaller labels have successfully guided countless artists through the maze of the music business with great rewards. On the other hand, countless artists have sounded off about their failed relationship with a record label, and, for the most part, these labels do not defend themselves. Why? Because they are behaving exactly as the artist describes; they really are doing all of the things that artists complain about. So, what is there to talk about? How can a record label defend themselves if all the negative comments are true? Record labels tend to do exactly what their contract allows them to do. The rub comes because an artist doesn’t really understand the relationship before signing on the dotted line. The artist is agreeing to a contract that allows the record label to do what they do—and possibly own everything an artist creates—without really knowing what it all means. Specifically, the artist needs to know how the relationship will work, how much money the label is putting up, how that money will be spent, who is financially responsible for what, who approves marketing and production expenses, and which party owns the rights to what is produced. Most of the time, record labels are not the devil. They’re simply businesses that are designed to make as much profit as possible. Artists, on the other hand, are usually the furthest thing from a profit-driven business. They are creative souls, not accountants. An artist who is also a great business person is a rarity… just like my doctor friends who are great physicians but, for the most part, terrible business people. 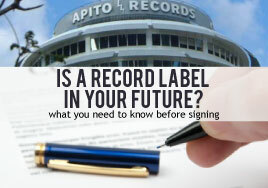 Why Sign with a Record Label? So, why in the world would an artist sign with a record label? That’s easy: the artist wants the business experience the label has to help launch or grow their career. Artists need partners with vast experience, impressive connections, and lots of money to promote their music. A good label will help with everything from song selection to recording, booking, marketing, and distribution of their signed artist. When I say help, I really mean that the label may have complete control over these things. After all, an artist is asking for help from the label, and no label is going to invest time and money into an artist without securing some control. The label wants to get paid back and make money. Big money, if possible. Most performers signed by a label do not pay off; they just lose money. Someone has to pay for the flops, and the only way to do that is get the highest possible rate of return on the performers that do succeed. It may not seem fair, but a successful artist has to pay for other artists’ failures. Think of it this way: Suppose you receive a mail order catalog. You didn’t request the catalog, but there it is, in your mail box. The company that sent out the catalog knows that 98 of 100 of those catalogs will be thrown in the trash—no purchase will be made. 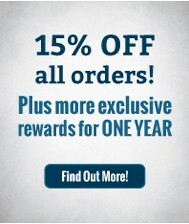 The two people out of 100 that do make a purchase have to pay for all of those catalogs that were thrown in the trash. It is called marketing expense. When the company prices its products, it adds enough profit to cover the expense of creating and mailing those catalogs that go in the trash. Otherwise the company would lose money and fail. Record labels are no different. A good record label is selective about who they sign; the ratio of successful signings to failed signings is crucial to their success as a label. A label should know which artists it can help and which do not fit. A smart artist is also selective about who they sign with. Why would an artist sign with a label that has a bad track record of signing successful artists? Make sure the label has prior success promoting artists who have a similar style to your own. Don’t be afraid to ask tough questions, and don’t accept general statements. After you become convinced that the label is a good fit, do your homework and read the contract carefully. Have a professional look at it on your behalf. Make sure you know what you are signing up for. Some artists really need a label to help them make crucial decisions about their career, not to mention the money to ensure a successful launch. Without that help, a talented artist may end up failing and giving up on a career in music. Most of the decisions the label makes will be focused on creating a long-term money-making success of the artist. Yes, a label is in it for the money, but there is nothing wrong with that. Let’s just make sure that the artist understands what that means. Lionel had a band back in the 70s, and they were a regional success. Great music with lots of exposure in good venues and a loyal fan base that was growing weekly. A local radio station approached Lionel and asked if he would like to hear his music played on the air; of course, Lionel was excited at the prospect and jumped at the chance to meet with the radio station executives. An agreement was reached quickly, and Lionel was on the air that same day. It was not until years later, when Lionel went to record his hit song and self release a CD, that he discovered that he no longer owned the rights to his own music. The radio station owned his music. Finding this hard to believe, Lionel contacted the station to follow up. He was told that the station did in fact own the rights. The people he originally spoke to no longer worked for the station, but when he authorized the station to play his music on the air, Lionel had signed a document that gave away his rights. He hadn’t read the entire document. He didn’t realize he was giving up his rights. He thought it just granted the station the rights to play the music over the air. After all, that’s what the station execs he’d met with had told him. 1. Find a Good Fit. 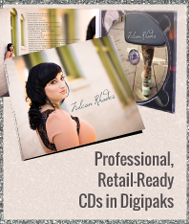 Check out the record label and make sure they can demonstrate past success with artists similar to you. Ask for documentation. 2. Get details. Labels have engaged in signing bands countless times, so I can promise you that record labels are much better at the signing process than artists are. Have the label outline a detailed plan for your launch and continued growth. Get them to explain why they think this partnership will work. What are they bringing to the table? What are you bringing? You should also understand how much control you will be giving up. Ask who has control over expenditures, where are the funds for expenditures coming from, who owns the rights to the songs and recordings, how are marketing decisions made, and how much input you have on the decisions that are made. When does the contract expire and who has an option to renew? What rights does the label have after the contract expires? Most of all, require transparency and detailed reporting on all financial expenditures. Do not be afraid to take your time, and don’t allow anyone to rush you. Don’t become infatuated with the idea of getting signed and quickly agree to whatever is offered. 3. Negotiate. Interview with at least two labels and compare what they have to say. If you’ve asked the right questions, you’ll be able to tell a good deal from a bad one. You’ll also be able to pick out bad terms and negotiate for better ones. A small indie label may be a better fit than a traditional industry giant, quite often smaller is more flexible with the terms of the contract and quicker to move on your project. 4. Get advice from an industry professional. Hire an entertainment attorney who has experience with labels and contracts. It would also be a good idea to talk directly to other artists that this label has signed in the past and get their feedback. Who better to tell you how the label has performed? Remember Lionel. He signed a contract with the radio station much like artists sign today with record labels. If he had slowed down and taken the contract to an entertainment attorney to get an explanation of what he was signing, he would not have agreed to the deal. He trusted his gut and that was a big mistake. One additional day of negotiation and a little advice would have made all the difference for Lionel. My friend no longer thinks that self promoted artists are going it alone only because they are not good enough to get signed by a label. For the first time in his career, he is doing his own promotions without the help of a label. Times have changed. A label is no longer necessary to succeed as a performer, but there are many pitfalls. Self promotion has it’s advantages, and it’s easier to accomplish today than it has ever been in the past, but don’t assume that going it alone is easy. 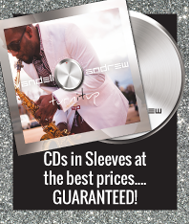 On the other hand, record labels can create tremendous value… just make sure you know what you are agreeing to. Very informative. Great advice. Not worrying about labels or such things, currently. But it has been a thought. My band is working to do all we can on our own for now. Attempting to grow in sound and presence (be it on stage, advertising, merch, etc) .. I will keep this email for future reference! Great stuff. Thank you! Good point on the electronic copies. Did the label talk about this when you signed with them? What does your contract say? The storage and promotion charges are one of the pitfalls of deals like this. Even if the label agrees to pay up front, be wary of how they intend to get paid back. Some artists end up working for extended periods of time (even months or years) to pay back up front money with a label. This does not mean every label is bad in my opinion, I just like to get full disclosure and see what I am really signing up for. Hi, I did a tv performance about a month ago for a lady I had met, it was for a local station. It’s something they plan on doing every month and I have been asked to come again. No papers has even been signed. It seemed to have started some buzz because she recently told me, she’s wanting to take me into a studio to record some of my music. She texted me in all caps, twice that I am very talented. Please don’t think I’m tooting my own horn, I’m just trying to give all the facts. The station is backed by some wealthy people and when I was getting ready for the show, she said that these people, among others watch it and who knows what could happen. I write my own music, it’s only me, I don’t have any band members to worry about so it’s a little daunting to have to deal with this on my own. I always thought that I would have to pay for a demo to be made, which I was planing on doing later in the future but with this, it seems like I won’t have to do that after all. I’m not sure what her plan is as of yet, she’s been in NY the past weeks so I haven’t had a chance to talk with her but over text. I’m very much an artist who would rather not think of the business side of things but knows that it’s half of it. I do have a lawyer friend so if any paper work comes up, I should be covered. I would love any advise though that you might have for all of this, it’s kind of a lot I feel, especially after reading your blog. I’d very much appreciate anything you might have to say, thank you so much for your time! Congratulations on the exposure and attention! Not knowing any details other than what you gave, it sounds like a wonderful opportunity mixed with some red flags. Were the details of your appearances set in writing, or all verbally? Are they paid appearances or free? The recording studio is a whole different situation. I would proceed very cautiously. 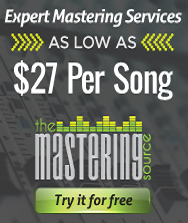 You don’t want to miss an opportunity, but you DO want to keep your music as yours. If you’re at all uncomfortable with the arrangement (which, from your comment, it sounds like you are), I would consult a lawyer, preferably one with experience in the industry who is recommended by others and who you feel comfortable with. Most lawyers will do a free consultation.